Based on slide "What do I have to do to create Open Educational Resources?" from 2018 presentation Building OERs by Prof. Greg Szczyrbak and Dr. Chris Stieha. Used with permission. Attribution required. No other restrictions. Attribution required. New works must contain the same license. Attribution required. Non-commercial use only. Attribution required. Non-commercial use only. New works must contain the same license. Attribution required. No derivative works. Attribution required. Non-commercial use only. No derivative works. Creative Commons helps you select an appropriate license for your work. Content authoring tools range from simple to complex. If you have access to a tool that allows you to create any kind of content (a simple rich text document, a complex program, and anything in between) you can make it available using a Creative Commons license. A few tools that are readily accessible for content creation (with varying levels of openness) include WordPress for building web sites (if you aren't already using Bucknell's WordPress instance, contact Digital Pedagogy & Scholarship at dps@bucknell.edu for more information), Microsoft Office products like PowerPoint and Word or Google Drive for creating documents and visual aids, and Audacity for creating audio content. Create an account and create web pages, images, and videos. You can also upload content authored with other tools. Create an account to build rich media resources and modules. You can easily and readily share through Google Drive or your WordPress site. Creative Commons Search provides a list of content services that allow you to upload and share your CC-licensed work. Here's a list of other platforms that allow you to share. Open the Google Doc and save a copy to complete the worksheet online. If you need stock images, videos, and audio files for use within your OER, visit the library's Copyright Guide. On each of the Image, Video, Sound pages, you will find links to open sources for each type of file. Be sure to check licensing for any use restrictions, and for compatibility with the license you plan to apply to your OER. From PhET Interactive Simulations project at the University of Colorado Boulder, this is an example of a simulation project, and an excellent example of documentation for an OER project. This course has a CC BY 4.0 license. All course content used is also open. The course is built in WordPress. Classroom workshop including assignments, syllabus, and assessment tools. All content is stored in Google Drive, making it easy to copy and modify. Content is shared through Bucknell OER Materials in Digital Commons. Posters created in PowerPoint can be downloaded and customized. They are shared through LibGuides, which allows other LibGuides users to copy, reuse, and modify the guides for their own needs. Tools for creating and checking accessible web content. For writing large documents with formulas or scientific notation. 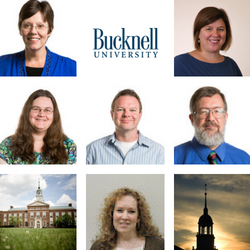 Contact Digital Pedagogy & Scholarship at dps@bucknell.edu if you are interested in using Omeka. Create and publish a textbook in multiple formats. Free to use with watermark. Contact Digital Pedagogy & Scholarship at dps@bucknell.edu if you are interested in using Scalar. Contact Digital Pedagogy & Scholarship at dps@bucknell.edu if you are interested in using WordPress. A guide to creating open textbooks. See the section titled "Can I include content in my textbook that is not licensed CC-BY?" 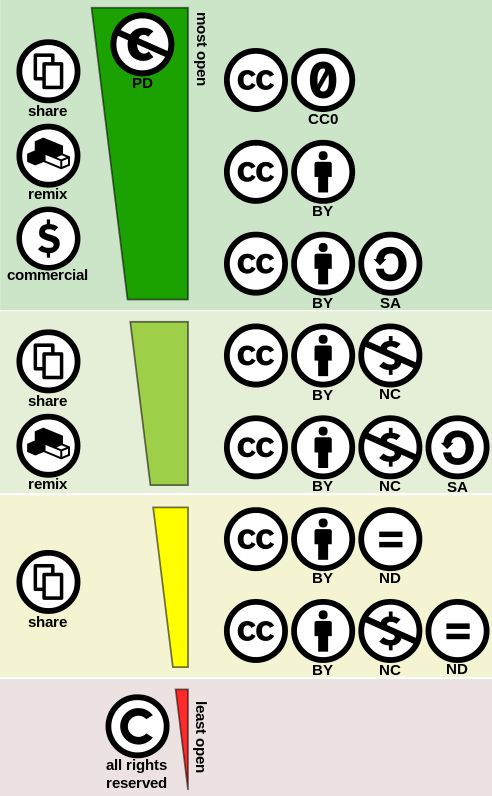 for a table that illustrates how you can combine and remix works that contain different licenses. Please help us to improve the workshop by providing feedback. Thank you!